HALF PRICE – ANY DAY. ANY TIME! 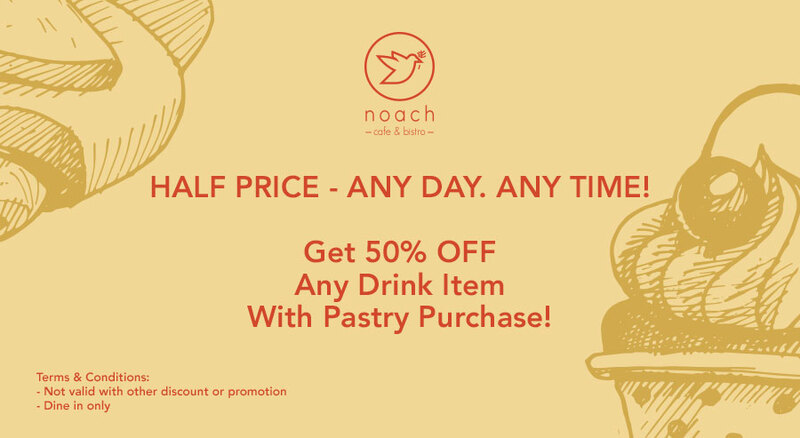 Another awesome news for you guys, from now on you need to pay only HALF PRICE of any drink if you purchase any pastry BUT it won’t be valid with other discount or promotion and only for dine-in.